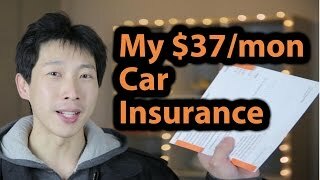 GET FREE CAR INSURANCE QUOTES: http://lowcostcarinsuranceprice.com/ CLICK HERE Subscribe: https://www.youtube.com/user/kevinhunter7 THANK US WITH A TIP! 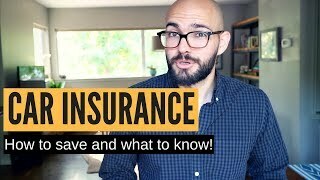 https://www.paypal.me/consumeradvice How do you buy car insurance, and how do I get the best rate on car insurance? You came to the right place. From the Author of "How to Beat the Dealers Finance Office," "Car Scam of the Decade," and "13 Car Buying Mistakes," these are the top ten tips for cheaper car insurance as presented by Kevin Hunter. 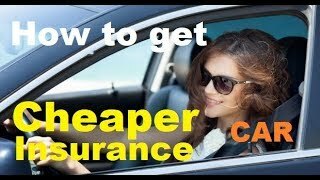 Would you like to get cheap car insurance rates? Lower auto insurance premiums? 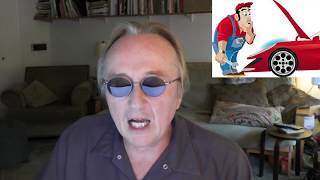 From the author of "13 Car Buying Mistakes" Kevin Hunter comes this fantastic video. Do your homework and get multiple quotes. It's your ticket to save you money on car insurance! According to Edmunds: 1. Get more than one rate quote before you commit. 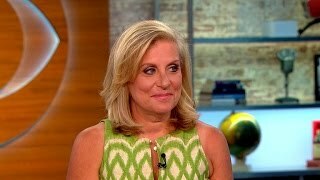 "Company prices are very different, and it pays to shop around. You can easily wind up paying double from one company to the next," says J. Robert Hunter, director of insurance with the Consumer Federation of America, a national watchdog group.Want to get a sense of who the low-priced carriers are? The National Association of Insurance Commissioners offers a map on its Web site that lists each state's regulators. Click on your state and you're taken to the state's Department of Insurance Web site. Its consumer buying guide compares insurance premiums across a range of companies. You'll also learn how many complaints each company has logged. Surprisingly, you don't have to sacrifice service quality to score a low premium. "A lot of the lower-priced companies have the best service rates," says Hunter.There are a host of independent Web sites, like CarInsurance.com, that allow you to comparison-shop by offering online price quotes. 2. Evaluate insurance costs before you buy your vehicle.The year, make and model of your vehicle can have a profound impact on your insurance rate. All else being equal, new, expensive or sporty cars will cost more to insure than older, cheaper and more utilitarian vehicles. But you could find a substantial discrepancy even when comparing the cost to insure similar cars. So if you've got a few models on your shortlist, contact your carrier to see what rate each vehicle commands. 3. Go high on deductibles.If you're willing to give a little with your deductible, you can wind up saving big on your rates. "If you go from a $250 to a $1,000 deductible, you can save between 25 and 40 percent on your policy," says Hunter. 4. Nix collision and/or comprehensive coverage on older cars.If your older car has comp and collision coverage, you might find yourself paying more in insurance than the car is worth. "Take your comp and collision premium and add it up, then multiply it by 10. If your car is worth less than that, don't buy the coverage," says Hunter. 5. Mind your credit score. An increasing number of carriers are considering credit scores when making rate calculations. "Your credit score can be very important in determining your rate," says Hunter. "You can wind up paying up to 50 percent more if you have a bad credit score." 6. Ask about low-mileage discounts.Many carriers offer discounts to policyholders whose annual mileage is lower than the norm. Maybe you have a short commute. Or maybe your participation in the office vanpool results in fewer hours spent in your daily driver. 7. Ask about group insurance discounts. Oftentimes, insurance companies offer discounts to policyholders who are members of certain organizations or professions, such as veterans, engineers or teachers. 8. Ask about all other discounts. Some carriers offer discounts to policyholders whose vehicles bear certain safety features, like anti-theft devices or motorized seatbelts. Others give reduced rates to senior citizens, and to students whose grades meet certain requirements. "Many carriers offer discounts. Ask for them when you're shopping," says Hunter. 9. Avoid lapses in coverage. Even a brief lapse in coverage can disqualify you from receiving discounts. "They use lapses in coverage to increase your premium," says Hunter. Pay your insurance bills on time. 10. Think twice about paying in installments.Most carriers charge an administration fee to pay in installments. One carrier surveyed levied a $10 charge per installment to those who opted to break up their bill. The solution? Pay your premium up front, if at all possible. Of course, this charge is more significant for those with small premiums. 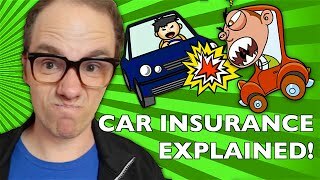 If you've ever seen "The £26 a YEAR car insurance man - Martin Lewis" you're going to enjoy this video. Kevin Hunter resides in Longview, Washington with his wife Stephanie and daughters Jackie and Alison. The Business Forum Show, TBFS Radio, Street Wyze, You Don't Know JACKIE,and Children's Stories are just a few of the broadcasts and studio based video productions he does.